Compatible, free drive, Gigabit USB 3.1 Type C latest Apple computer match, support for the latest Apple Apple system, Windows (Microsoft) system free drive (plastic shell) support network remote wake-up (Wake-on-LAN) function Support for IPv4 / IPv6 ultra-energy Ethernet standard. 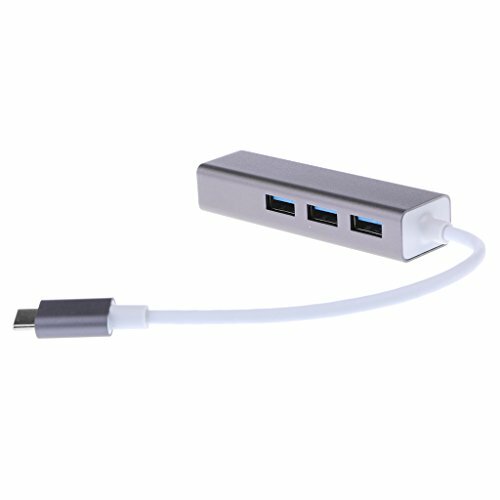 USB 3.1 Type C latest Apple computer, Surface Pro and other equipment free drive Surface, Lenovo IdeaPad, Macbook Air and other ultra-thin notebook and tablet users enjoy the flat upgrade laptop essential artifacts. USB 3.1 to 10/100 / 1000M Gigabit Ethernet controller, support for ultra-energy-efficient Ethernet (EEE) standard and low power consumption digital signal processor (DSP) technology. Support hibernation mode and through the network link state changes, received magic package, received Microsoft wake-up packet and external wake-up pin status changes and other events for remote wake-up. Support IPv4 / IPv6 packet checksum removal engine to reduce CPU load, including IPv4 IP / TCP / UDP / ICMP / IGMP, IPv6 TCP / UDP / ICMPv6 checksum generation and check.